Quick and Easy Cleanup of Bodily Fluids! 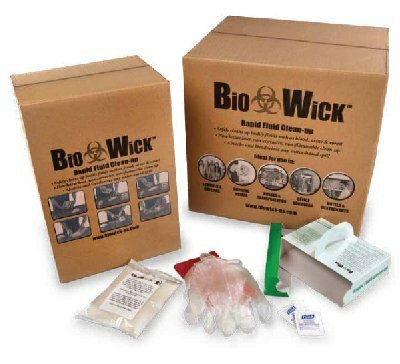 •A fast response kit tailored to unwelcome spills such as vomit. The smartly designed box instantly converts into a scoop and receptacle. Bus lines, trains and schools are having great success with the product as it can also be stored almost anywhere. There is nothing on the market that compares to this product.